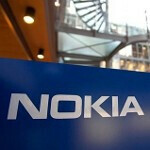 Video of Nokia Lumia 820 reveals Nokia prototype, "Juggernaut Semaphone"
The other day, we showed you a picture of a rather large screened Nokia prototype running Windows Phone 8. As it turns out, the name of the device is the "Juggernaut Semaphone". While the screen size easily trumps the 4.3 inch display on the Nokia Lumia 820, the resolution remains 480 x 800. Unfortunately, that wouldn't work out to a great pixel density, but then again, this is only a prototype after all. A video shot two weeks ago also seems to show off the "Juggernaut Semaphone".The video was allegedly hosted and posted by Igor Shastitko from Microsoft Ukraine and around the 8:15 mark, out comes the lumbering giant. You might notice the old style Windows Phone logo on the model. The video also displays some new Windows Phone 8 features such as Bluetooth file sharing. We can't say for sure that Nokia is planning on producing such a beast, but Windows Phone 8 models are limited to 720p or 768p resolution which pretty much limits how big these screens can get. Regardless, would a model like the "Juggernaut Semaphone" be of any interest to you Windows Phone 8 users out there? Looks awful. Its basically an HTC Titan with extra bezel and will be stuck on 7.8 forever. did you read the full article? It's a prototype! So they're going to change the design completely if it even launches? Umm, no. But it will not be stuck on WP7.8 ... 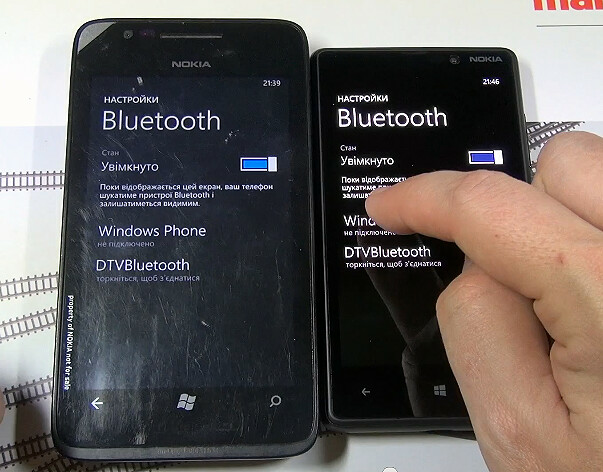 IF they release, will be WP8. And with at least some changes in design (Like the new Windows logo). But it may well have a completely different design. And can be only a device for development and tests which will never see the shelfs. However, since every maker are announcing, or leaking, a 5" device for next year, I will not be surprise if Nokia launch a Phablet too. Some prototypes are made for commercial devices and others for testing and development. Don't look attractive at all. Being a prototype doesn't mean it has to be ugly! I'd take it with a slightly updated design. And preferably in green. Cyan, ultramarine, gunmetal, or yellow would be alternates. folks Android fans have their Big Honking Samsung Galaxy Note Model smart phones that are selling very well Windows smart phones use Modern UI tiles to display information that is within the tiles that are updated for the Windows smart phone owner to see. the Modern UI tiles would look better on a big screen like 4,8 to 5 inches. A lot of people were looking for an HTC Titan 2 with Windows 8 dual core CPU and ect . HTC could have sold a ton of them with windows 8 with the old screen and dual core cpu. but HJTC went with the 8X and 8S which hurt a lot HTC titan fans who liked that big display what a shame. nokia if you do bring out this big honking smart phone please please put an High definition screen on it because NOKIA you only have one smart phone on the Market with a first class High definition screen and that is the Nokia Lumia 920 are you People crazy. That means NOkia has only one true state of the art smart phone the Nokia Lumia 920. Nokia you need another one.. At least upgrade you Nokia 900 to have it's 4.3 inch screen upgraded to a 4.3 hd screen like HTC 8X has and put dual core electronics in it. and load it up with windows 8 and look out baby it will sell like hot cakes because a lot of people do not want a smart phone as big as the Nokia lumia 920 especially Women they have small hands.